Commercial doors are important to the life safety of those using a building or space. Most general use public buildings and businesses are required to follow certain codes for life safety. Doors are a large part of those requirements. 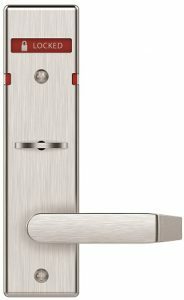 In this article we’ll take a look at some important door hardware and how it helps with life safety. Fire ratings will require that doors are equipped with fire rated hinges. This usually includes steel based hinges or other hinges tested and approved for use on fire rated doors, such as aluminum continuous hinges. 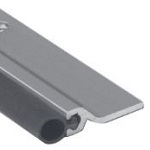 Spring hinges can also be used on fire rated doors but there are limitations on the door size used and a minimum quantity of spring hinges have to be installed. Fire rated openings are required to be “self-closing”, meaning the door must close on its own after an individual walks through the opening. A door closer will be either surface mounted or concealed and must be adjusted properly to close correctly after each use. Door closers can be mounted parallel arm, regular arm, or can have a track arm. By having door closers, fire rated doors will remain closed during a fire and help prevent the spread of the fire, allowing people to exit the building safely. Fire rated doors must be “self-latching”, meaning the door hardware will latch by itself without the need for manual re-latching. This means door hardware such as deadbolts and manual flushbolts generally cannot be used because they require manual operation to be secured. 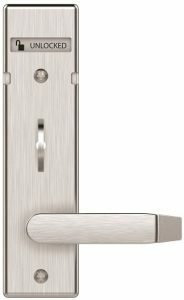 Most self-latching door hardware includes cylindrical locks, mortise locks, and exit hardware. There are many things to consider for this requirement so be sure to check the proper codes for each opening’s requirements. Smoke gasketing will seal the gaps around the perimeter of the opening. This does not include the bottom of the door, only the sides and top of the door in the frame. Smoke gaskets are often self-adhesive or fastened to the soffit of the frame so that when the door is closed, the gasketing compresses against the door to create an air-tight seal. This prevents the transmission of smoke. Most injuries and deaths caused during a fire are due to smoke. Exit devices are required to be fire labeled for fire rated openings. They are made with certain differences compared with standard panic hardware. 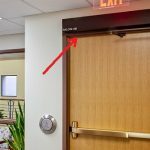 Fire exit hardware and panic hardware look almost identical when installed on the door, but a Fire Marshal will not approve a fire rated opening that only has panic hardware. One noticeable difference between fire exit hardware and standard panic hardware is that fire exit hardware cannot be mechanically dogged, so there will be no cylinder dogging or hex key dogging capability on the device. 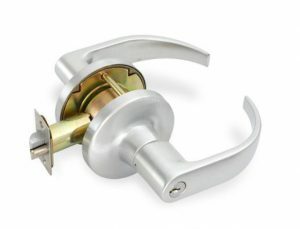 This is due to the requirement that latching hardware must be self-latching and an exit device that is mechanically dogged (meaning the latch is being held retracted mechanically) must be manually disabled to re-latch. With a rise in active shooter scenarios in recent years it is important to address this possibility and how door hardware is on the front lines. 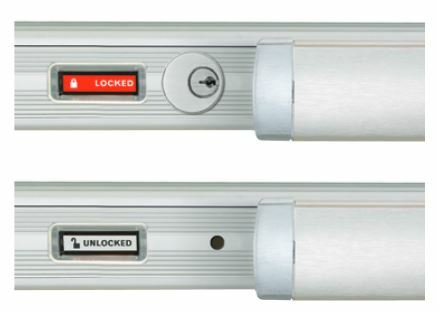 Electric locks are an efficient way to lock-down a building that is setup with an access control system. Certain manufacturers have the ability to lock the doors remotely. This helps prevent staff from putting themselves in harms way just to ensure that doors are secure. 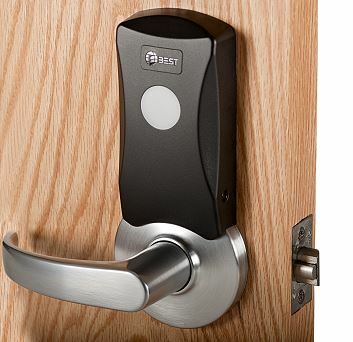 Additionally, access control can assist with monitoring who is using openings, when they are being accessed, as well as monitor if doors are closed and secure. 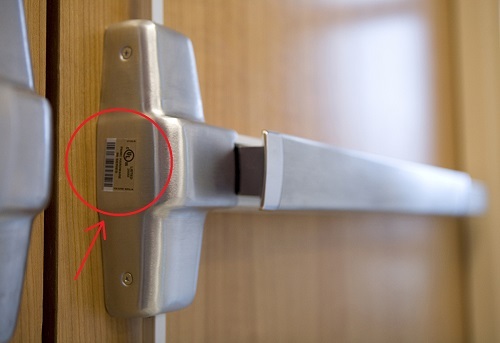 Non-electric options for locking and latching hardware include security indicators. With visual indication of locked or unlocked conditions, staff can respond quickly and efficiently by recognizing which doors still need to be locked and which doors are already secure. 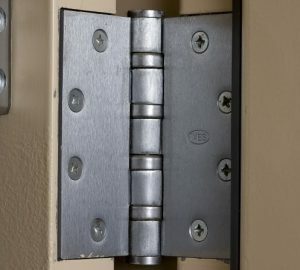 Exit devices as well as mortise and cylindrical locks have various methods of indicating locked and unlocked conditions. All openings should allow for immediate egress. This means that even if the door hardware is locked and secure from entry, the lock is still operable for exiting the room or building. Barricade devices are strongly discouraged from use. Barricade devices often disable other hardware on the door that is critical for life safety purposes. Barricade devices can also work against life safety if a perpetrator is able to utilize it for causing harm by barricading the door. 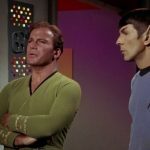 It can end up restricting access by responders and restricting egress of those in harm’s way.